Sev is a popular Indian snack food which is thin and crispy. 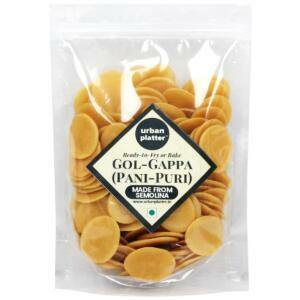 It is particularly used in many Indian food and snack preparations as the main ingredient or as a topping. In other countries, Sev mixed with nuts, lentils and pulses are commonly sold as "Bombay Mix". Sprinkle it over chat, Bhel, Dahi Wada, khaman dhokla, sev khamani, panipuri, poha etc. and make them yummy. You can also use it to prepare Indian chavanu mixture, and poha chivda. 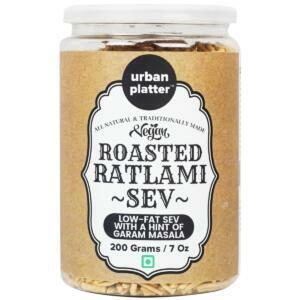 Urban Platter Special Nylon Sev, 400g / 14.11oz [Namkeen Sev for Bhel, Chaat & Sevpuri] Sev is a popular Indian snack food which is thin and crispy. 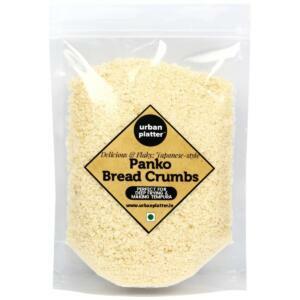 It is particularly used in many Indian food and snack preparations as the main ingredient or as a topping. In other countries, Sev mixed with nuts, lentils and pulses are commonly sold as "Bombay Mix". 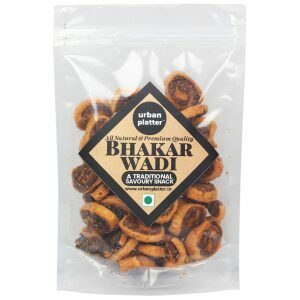 Sprinkle it over chat, Bhel, Dahi Wada, khaman dhokla, sev khamani, panipuri, poha etc. and make them yummy. You can also use it to prepare Indian chavanu mixture, and poha chivda.